« 3 of a kind? Hope you enjoyed our latest Business Briefing on coaching. 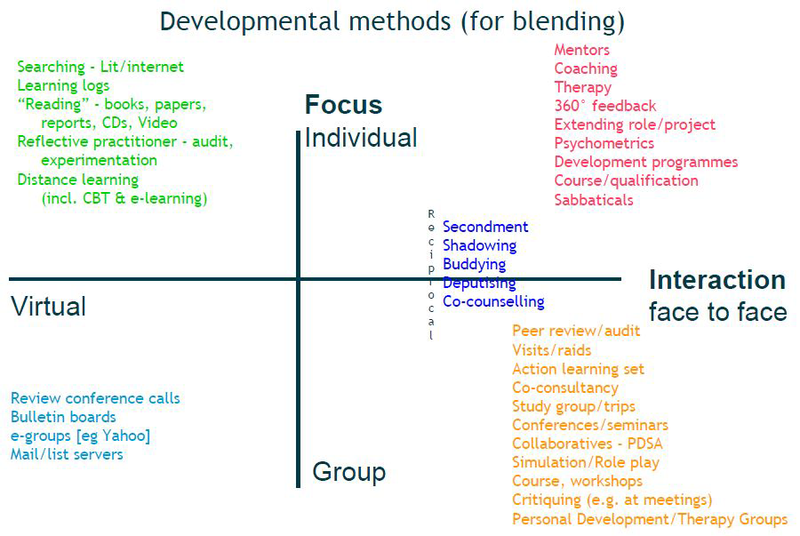 This framework shows how coaching is one of a range of learning/development tools. If you are not sure coaching is right for you (or you are worried about finding the funding for a professional service), do check you have thought about mentoring or even co-coaching/buddying (where you take it in turns to help each other, and where you develop your own coaching and coaching/leadership skills).